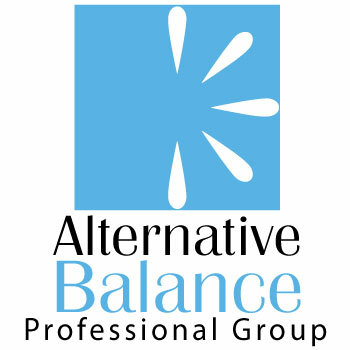 Alternative Balance LLC and its affiliates and sponsors recognize the privacy concerns of our customers and potential customers who visit our web site. We want you to be aware that we collect information through our web site for our internal use. We intend to use information collected only in the normal course of our business and as permitted by law. No personal information is required when you visit our web site, however, certain information is collected in order to help us to better provide the products and services we offer. We do not disclose any non-public personal information we gather about our customers or former customers to anyone, except as permitted by law. We may disclose non-public personal information about you to related or third-party brokers and/or agents, to premium financial service companies, and to third-party companies who perform marketing services for us. We restrict access to your non-public personal information to those employees who need to know that information in order to provide products or services to you. We maintain physical and procedural safeguards to guard your non-public personal information. We may use your personal information for several purposes, such as monitoring the use of our web site so that we can make improvements; diagnosing and solving technical problems; fulfilling customer requests for certain products and services; and sending material of interest (if you have so requested). Sometimes we must collect medical information in conjunction with a claim. We do not use or share your medical information for any marketing purpose, unless we receive your permission. We may use customer information for the purpose of obtaining reviews about the services and programs that we provide. This may include, but is not limited to, giving customers’ names and e-mail addresses to third parties to facilitate and contact customers to obtain reviews. Customer information sent to third parties will be used solely for the purposes of gathering and managing feedback, or as required by law or by any court of competent jurisdiction. Reviews provided by customers may be published online and submitted to search engines. Customers may be contacted by a third party review service, but are under no obligation to provide a review. We may store a cookie on your computer when you visit our web site. A cookie is a piece of information that is required to create and maintain a secure session. With a cookie, each time your browser requests a page from the server, a message is sent to us. A cookie’s main objective is to identify users and personalize their visit by customizing web pages for them--for example, by welcoming them by name the next time they visit the same site. A site using cookies may invite you to provide personal information, such as your name, e-mail address and interests. Our cookies do not contain confidential or personal information. Our cookies do not track a user after leaving our web site. We may keep the e-mails you send to us. If you agree to receive e-mail messages from us, we will keep the information you give us to send e-mail of specific interest to you. Please be careful about the information you give us in e-mail. As with any public web site, this communication may not be secure. We may provide links to other web sites on our site. We are not responsible for the collection, use, or security of information by the companies or organizations outside of our site. Please read the privacy policies of those web sites reached through the use of links from our site. When is my membership and insurance active?